Drinking establishments have been part of British culture for hundreds of years. The Anglo-Saxons established Alehouses amongst their domestic buildings to use as meeting places. The term “Alehouse” eventually changing to “Public house”. Inns appeared on the highways to provide refreshment and accommodation for the weary traveller and fresh horses for the coaches. Taverns and Pubs sprang up in towns and villages all over England. Pubs primarily sold just alcohol whilst Taverns sold food and drink. This was an Act of English parliament designed to control the “Abuses and Disorders” associated with the unrestricted sale of ales and beer. A Justice of the Peace was given the power to grant Licences to owners of approved Alehouses and close down others that were considered to be inappropriate or unlawful. All licenses were recorded in a register and held in the records of the Courts of Quarter Sessions. The following is part of a transcription from the Domestic State Papers (Elizabeth Vol. 118 No.25) by W.H.Hart FSA and is A list of the Alehouses, Inns and Taverns in the County Of Derby, 15th November 1577 recorded by Sir Francis Leek, Knight, Justice of the Peace. He records the following seven Alehouse Victuallers for Codnor. Codnor. — Robert Sutton, Hugh Oldfeld, Marke Bolsover, William Bennyt, Thomas Upheton, William Rooper, Hugh Cowper. — Alehowsis vii. Codnor. — Samuel Slack, Thomas Smally (also spelt smalley), John Richards Francis Clarke, Elizabeth Bullock, Thomas Cutler, Philip Richards (also spelt Richardson), John Wright. Codnor Common. — Isaac Farnsworth. Codnor Castle. — William Bryans. If you consider that Codnor only had 53 houses in the year 1800 and considerably less back in 1577, It certainly had its fair share of pubs. 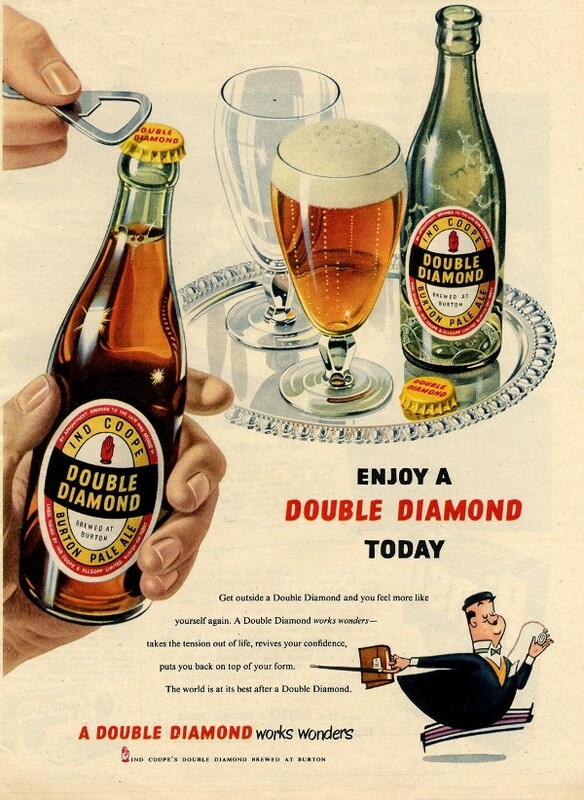 The Beerhouse Act enabled anyone to brew and sell beer, ale or cider, from their own homes. The permission did not extend to the sale of spirits and wines, also Beerhouses were not permitted to open on Sundays. Often the front room of a house was used for this purpose and it was not unusual to see these Beerhouses in the middle of a row of terraced houses unlike a purpose built Pub on a corner. This often proved quiet profitable and enabled the owners to buy the house next door to live in, which in turn allowed them to transform the rooms in their former home into bars and lounges for customers. Examples of Beerhouses in Codnor include the 'Sportmans Inn' at the bottom of Jessop Street and the 'Crown' that once stood on Alfreton Road. I am also informed of a beerhouse called the "Blackhorse" once existing on West Hill Codnor but have yet to find any details. The Ripley & Heanor news dated 17th February 1939 also records an application for a beerhouse called the 'Cherry Tree' on the main road opposite Crosshill Church, however this application does not appear to have been successful. Below are just some of the locally brewed ales you could expect to find in the Public houses around Codnor, all are now long gone. 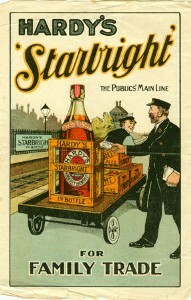 Above left: Poster circa 1914 advertising Hardy's Starbright bottled beer. 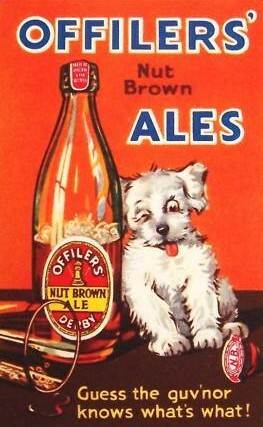 This was a popular beer and was sold at the French Horn on Notttingham rd. Above Right: Offilers Nut Brown Ales, Ambrose Street Derby. 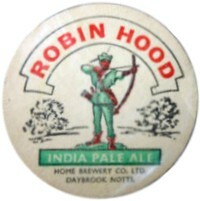 Last brewed in 1966. 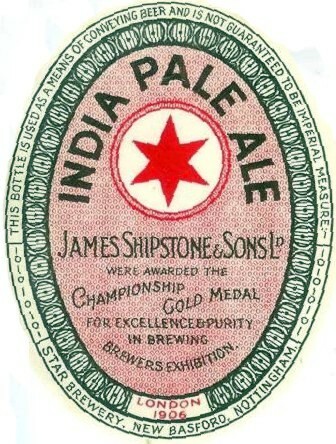 Above Left: James Shipstone & Sons Ltd India Pale Ale, celebrating winning a gold medal in brewing excellence in London 1906. 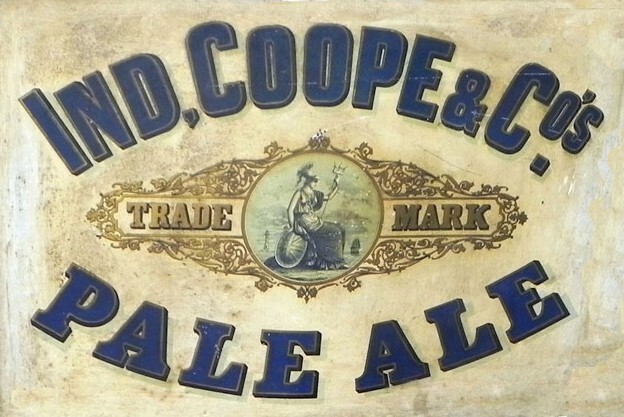 Above Right: Enamel sign advertising Ind, Coope & Co's Pale Ale probably sometime before the companies merger with Samuel Allsopp in 1934. Left "Double Diamond works Wonders"
Ind, Coope's advertising poster from 1953.